Eudora Alice Welty was born on 13 April 1909 in Jackson, Mississippi, and lived there for her entire life save for college studies, sojourns of one to six months in New York and San Francisco, and writing residencies at Breadloaf, Yaddo, and Bryn Mawr and Smith Colleges. Her father, Christian Welty, president of the Lamar Life Insurance Company, was a man of progressive ideas who encouraged his employees and family to travel and thereby gain a broader perspective and empathy for others. Eudora’s mother, Chestina Andrews Welty, was a teacher from the mountains of West Virginia who taught her daughter and her two younger brothers, Edward and Walter, to love reading. After attending Jefferson Davis Elementary School across from her home on Congress Street in Jackson, Eudora Welty moved on to Central High School. When she was sixteen, her family moved to the house at 1119 Pinehurst Street, across from Belhaven College, where she lived for the rest of her life. While in high school, she contributed drawings to the Memphis Commercial Appeal children’s pages, won awards for a drawing and a poem published in St. Nicholas Magazine, and contributed graphic designs and satire to her high school yearbooks. To the Golden Gate and Back Again, a 1924 souvenir booklet commemorating a Lamar Life Insurance Company rail journey from Memphis to California on which Eudora was her father’s guest, includes five humorous drawings by Welty and a concluding spoof addressed to “Mr. Wealty,” presumably by the young wordsmith. Welty graduated from high school in 1925 and enrolled at the Mississippi State College for Women (now Mississippi State University for Women). After two years there, during which time she drew and wrote for school publications, she moved on to the University of Wisconsin at Madison, receiving her degree in English literature in 1929. She spent the following year in Jackson, writing a few pieces for the Jackson Daily News but failing to find steady work with publishers or journals. In the fall of 1930, Welty moved to New York City and studied advertising at the Columbia School of Business until the fall of 1931, returning to her family’s Pinehurst Street home when her father became ill and died in September. 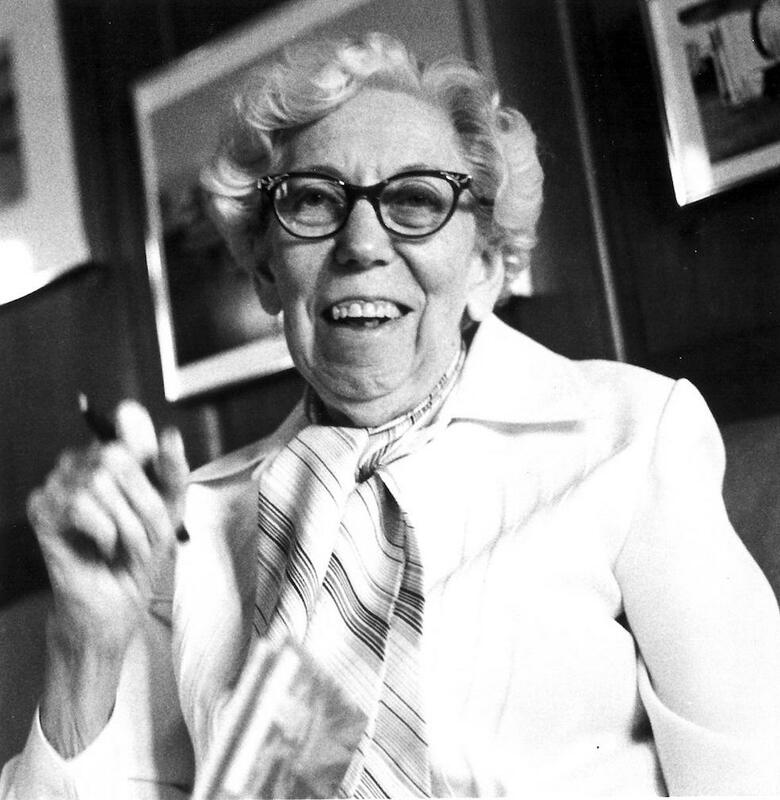 Welty subsequently worked at numerous writing jobs. She served as the editor of Lamar Life Radio News, the society columnist for the Memphis Commercial Appeal (1933–35), a researcher for the Mississippi Advertising Commission, and a junior publicity agent for the Works Progress Administration, a position that called for her to travel throughout the state. On those trips, she took numerous photographs of places and people that were later collected and published in One Time, One Place: Mississippi in the Depression: A Snapshot Album (1971), Twenty Photographs (1980), In Black and White (1985), Photographs (1989), Country Churchyards (2000), and Eudora Welty as Photographer (2009). The images illustrate Welty’s interest in human dignity. Small exhibitions of her photographs took place in Raleigh and Chapel Hill, North Carolina, at the behest of her Jackson friend Frank Lyell and in New York at Lugene Optics. Passionate Observer: Eudora Welty among Artists of the Thirties (2002) places Welty’s photographs in the context of local and national painters and photographers, revealing Welty’s talents and synchronicities with successful and trained artists. In 1936 “Death of a Traveling Salesman” became Welty’s first published story, appearing in Manuscript. This and other stories in little magazines and regional journals led Diarmuid Russell of a newly founded literary agency, Russell and Volkening, to offer to be Welty’s literary agent. Others who nurtured Welty’s career included Katherine Anne Porter; Albert Erskine, Cleanth Brooks, and Robert Penn Warren, the editors of Southern Review; Mary Louise Aswell of Harper’s Bazaar; and William Maxwell of the New Yorker. Twelve of Welty’s forty-one collected stories garnered individual prizes. With humor, irony, compassion, A Curtain of Green and Other Stories (1941) and The Wide Net and Other Stories (1943) illustrate Mississippi during the Great Depression, using a variety of settings, themes, and conflicts. Her next collection, The Golden Apples (1949), is unified by the Natchez Trace setting and the theme of love and separateness. A nine-story composite set in fictional Morgana, Mississippi, and in San Francisco, the volume is Welty’s most modernist work and is rightly acclaimed as her finest achievement. The Bride of the Innisfallen (1955), Welty’s most varied story collection, features stories set in Louisiana, Mississippi, Italy, and Ireland. Some are contemporary, others take place during the Civil War, and others occur in mythic time. In addition, some are ghost stories, some feature modern angst, and some offer memory puzzles. Two stories written in the 1960s that illustrate public and private racial violence and ethics (“Where Is the Voice Coming From?” and “The Demonstrators”) are included in Collected Stories (1980). Among the best known and most frequently anthologized of Welty’s stories are “Why I Live at the P.O.,” “A Worn Path,” and “Petrified Man.” “Powerhouse,” prompted by a Fats Waller concert in Jackson, is considered one of the finest American jazz stories. Welty wrote about her youth, education, reading, and family relationships in “Personal and Occasional Pieces” in The Eye of the Story: Selected Essays and Reviews (1978); in her memoir, One Writer’s Beginnings (1984); and in her Pulitzer Prize–winning autobiographical novel, The Optimist’s Daughter (1972). Welty published two novellas, both of which were adapted for the stage: The Robber Bridegroom (1942, musical drama by Alfred Uhry and Robert Alderman, 1976) and The Ponder Heart (1954, stage adaptation by Joseph Fields and Jerome Chodorov, 1956). Although Welty felt most pleased with her talents as a short story writer, her three novels were experimental for their day, and as complex and stylistically challenging as any of their contemporaries: Delta Wedding (1946), Losing Battles (1970), and The Optimist’s Daughter. All three novels are set in Mississippi, but their themes—the unremitting power of the past and of complex mysteries of human relationships—are universal. The majority of Welty’s nonfiction is collected in The Eye of the Story and A Writer’s Eye: Collected Book Reviews (1994). She wrote essays on writers Jane Austen, Willa Cather, Anton Chekov, Henry Green, and Katherine Anne Porter and contributed significant critical commentary on Elizabeth Bowen, William Faulkner, E. M. Forster, and Virginia Woolf in book reviews and in occasional speeches and comments. Her essays about the craft of writing are also collected in On Writing (2002). Occasions: Selected Writings (2009) contains more than sixty previously uncollected pieces from magazines, journals, newsletters, and newspapers. Welty’s talent and importance as a major American writer were recognized both nationally and internationally during her lifetime. In addition to the Pulitzer and short story awards, Welty received a Guggenheim Fellowship, the Howells Medal for Fiction from the American Academy of Arts and Letters, the Gold Medal for Fiction from the National Institute of Arts and Letters, and a Chevalier des Arts et Lettres and a Chevalier de la Légion d’Honneur. Her work has been translated into more than fifteen languages. In 1998 Welty was the first living writer to have her canon published by the Library of America (Complete Novels and Stories, Essays, and Memoir). In her home state, Welty edited Mississippi Women’s War Bond News, contributed a preface for the Jackson Junior League Cookbook, wrote letters to the editors of the Jackson newspapers, helped to found and guide the city’s New Stage Theatre, campaigned for her choice of political candidates, worked on behalf of the racial integration of Millsaps College, and supported education and arts efforts.